Deadpool is certainly the quirkiest superhero who will mouth the funniest line, even when he’s beating the hell out of others. The first film was a super-hit and Fox Star Studios, have ambitious plans to make the sequel an even bigger success. They have roped in the massively popular actor, Ranveer Singh, to dub for the character of Deadpool (Played by Ryan Reynolds) for it’s Hindi version. 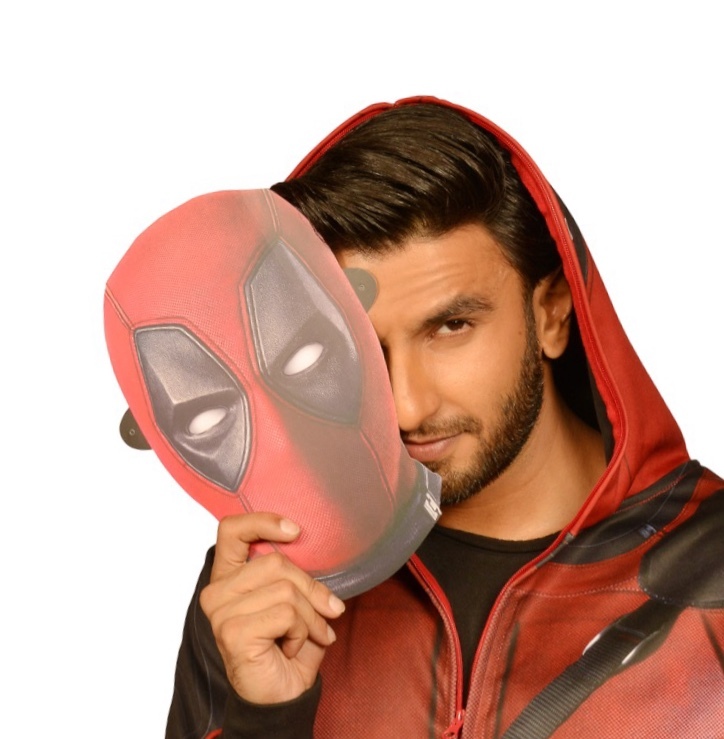 Fox wanted a star who would resonate with Deadpool’s personality and Ranveer’s wit and edgy personality was a perfect match. ‘Deadpool 2′ has already created massive buzz around the globe with its witty dialogues and outrageous action sequences!! But now with this news which seems to be the biggest West Meets East collaboration, Deadpool 2 promises to pack a BIGGER punch! The film and the Hindi Trailer will be A-rated as they will stick to the tone and irreverence of the English film which has Ryan mouthing cuss-words, to heighten the impact of humour and the style of story-telling that Deadpool is known for. Ranveer understood the reason why he had to mouth cuss words since the studio wanted to retain the humour and USP of what Deadpool stands for even in the Hindi film. The Hindi trailer is a riot because Ranveer has added his own masala to make even this version stand out. Needless to say he is fab! Would Deadpool say fab? Probably not! But whatever adjective Deadpool would use, we have to say Ranveer is a perfect choice! Directed by David Leitch, starring Ryan Reynolds, Morena Baccarin and Josh Brolin, Deadpool 2 is set to release on 18th May. The Hindi version will also hit theatres on 18th May.